Have you seen the Neiman Marcus Christmas Book for 2013? Talk about a wish book! 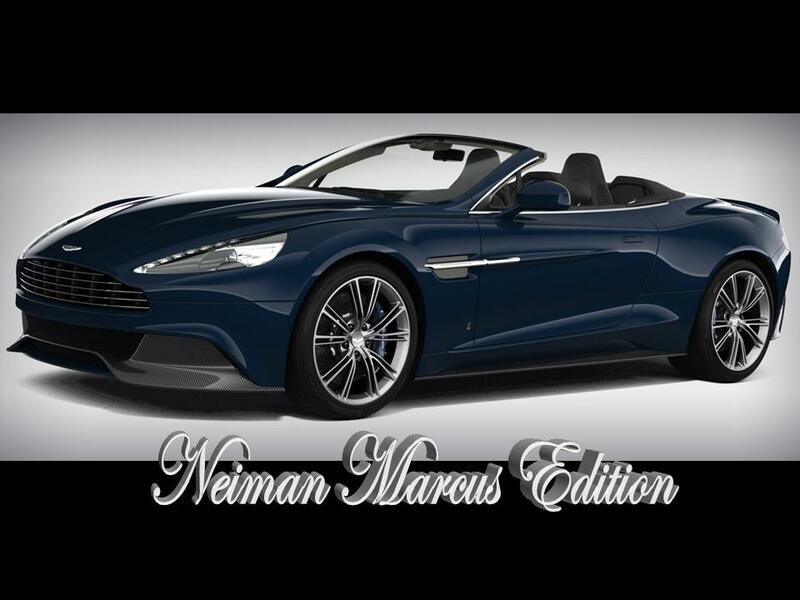 They are celebrating the 87th year of the legendary Neiman Marcus Christmas Book with 10 specially created 2014 Aston Martin Vanquish Volantes. With every purchase of this limited edition Cabrio, Neiman Marcus will donate $3,000 to The Heart of Neiman Marcus Foundation. 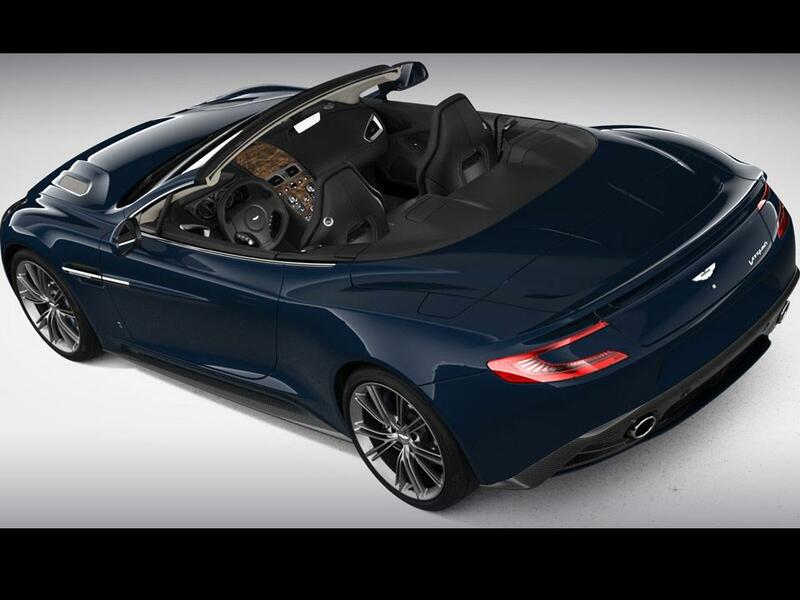 To reserve your 2014 Neiman Marcus Edition Aston Martin Vanquish Volante call their toll-free number: 888.756.0775. This Limited Edition of the Vanquish Volante retails for $344,500 USD. This Cabrio is hand-built in Graydon, England. It is finished in Seychelles Blue and through the bespoke customization “Q by Aston Martin” your Vanquish Volante can be as individual as your finger prints. Its multi-layer fabric convertible roof is trimmed in Atlantic Blue. 20 Spoke diamond turned alloy wheels with liquid silver finish, bright finish front grille and rear tail pipes, magnesium meshes, Sterling Silver and Flux Enamel wing badges, and blue brake calipers are the signature exterior features. The cabin is upholstered in black supple semi-aniline leather with Aurora Blue contrast stitching and welt. Rich walnut veneers, hourglass quilted seats, quilted door inserts with Aurora Blue welt, Obsidian Black carpet with Aurora Blue binding, Ivory Roekona and Ivory Alcantara headlining, satin chrome instrument dials and controls, black gearshift paddles with Aurora Blue leather tips, unique Neiman Marcus “Q” sill plates, and matching four piece bespoke leather luggage set in the trunk are the Neiman Marcus signature features for the interior. 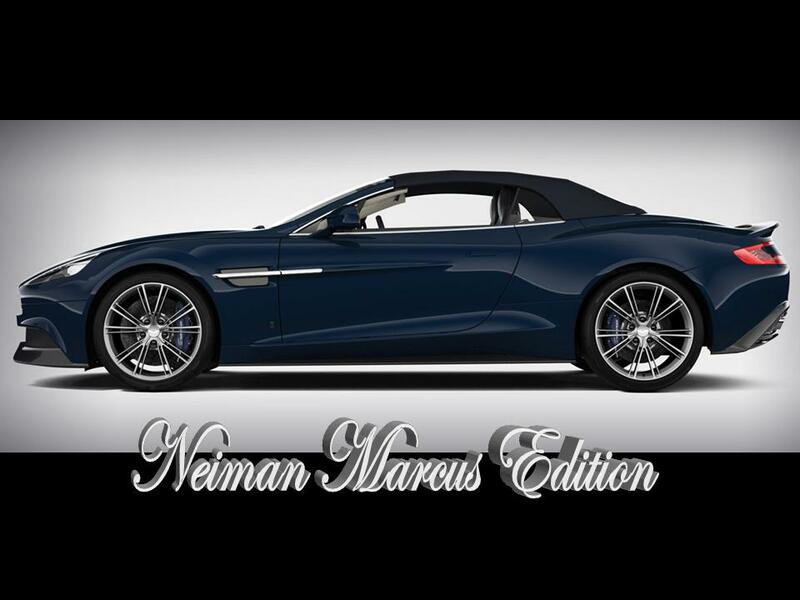 The Neiman Marcus Edition Vanquish Volante sports a beautiful bodyshell of 100% carbon-fibre. It is powered by Aston Martin’s naturally aspirated 6.0 litre alloy V12 engine. It produces 565 hp @ 6,750 rpm with 457 lb-ft of peak torque @ 5,500 rpm. 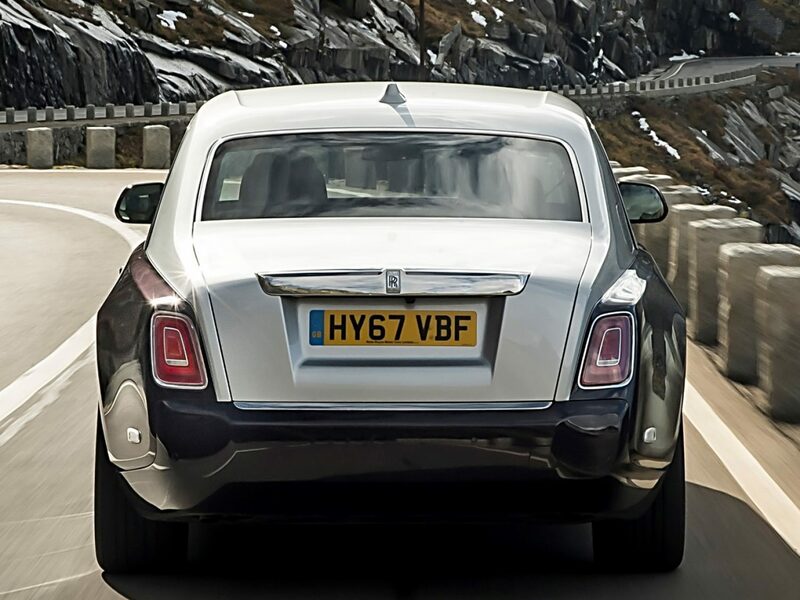 A three-mode Adaptive Damping System allows the ride to be fine tuned to suit the driver. 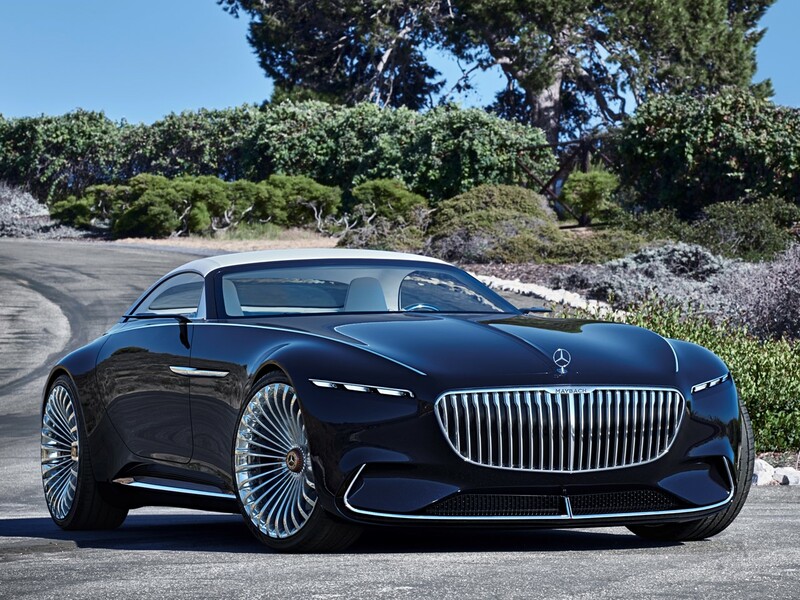 The V12 engine is mated to the Touchtronic II six-speed automatic transmission. The Vanquish Volante sprints from 0-60 mph in 4.0 seconds with a top speed of 183 mph. Every year I can’t wait to see my Neiman Marcus Christmas Book. They always have something spectacular. And what could be more avant-garde this year than to give that special someone a gift that they will never forget. 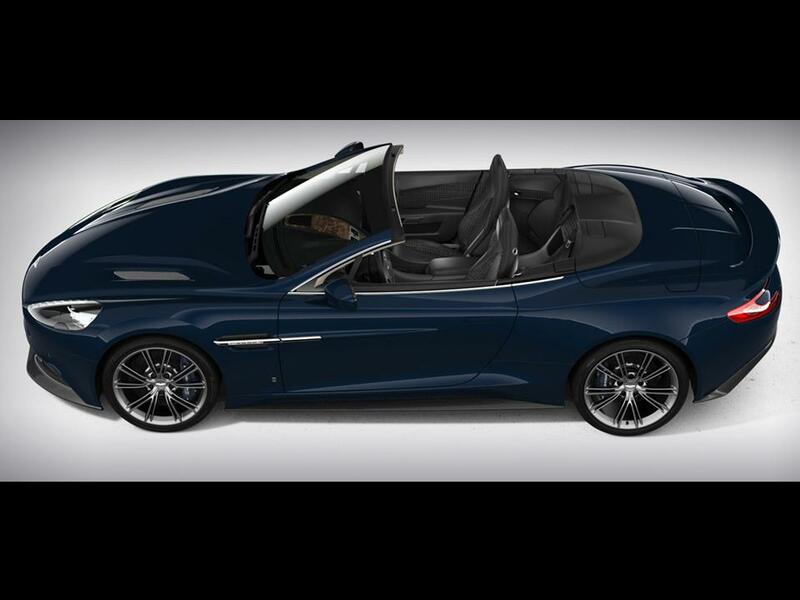 The Aston Martin Vanquish Volante Neiman Marcus Edition will create a tradition for many years to come. The weather outside may be frightful, but the Aston Martin is so delightful, and since its already in the garage…..let it snow….let it snow….let it snow! Merry Christmas from Neiman Marcus and Aston Martin. Ten lucky owners will have a very Happy New Year. And should the forecast be promising, go ahead and pack half of Neiman Marcus in the Aston Martin’s custom luggage and hit the road for a Christmas adventure……you only live once!